At Rocky Aviation, we are uniquely positioned to serve the needs of small or large aviation operations. We enjoy the wide range of missions we help support. Every transaction is unique and deserves the same attention to detail. There is never a boring day, we might be working on a Vintage J3 Cub transaction, and later that same day a multi-million dollar business jet transaction. Rocky Aviation got its start over ten years ago by helping our friends that were frustrated with their experiences related to aircraft brokerage. The results took off from there and spread quickly by word of mouth. Our clients tell us that it is refreshing to be treated with respect and honesty. Now we are excited to offer our clients Aviation Insurance to help make their aviation experience even more seamless. As owners of vintage aircraft, we are committed to passing the torch of grass roots aviation to the next generation. We haven’t forgotten our roots in aviation or our faith. We honor God in all that we do as our rock and foundation. Dustin exemplifies the true meaning behind an aviation enthusiast. From his career as a professional pilot to his passion for aviation reflected within his company, he is well versed in all aspects of the industry. Dustin graduated in 2006 from the University of Central Missouri with a Bachelor of Science in Aviation Technology. Actively flight instructing since 2005, he also brings with him 10 years of Part 91 and 135 experience including safety management and regulatory compliance. He incorporates these skills in his current position as a Gulfstream G450 Pilot at a large jet operator based in Centennial, Colorado. Previous positions include Chief Pilot, and Safety Officer. 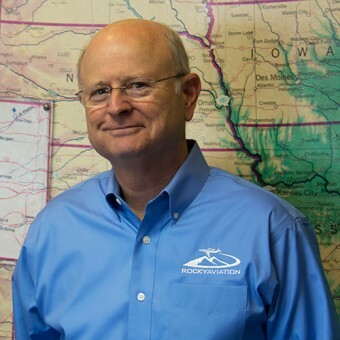 His involvement with charter operations and corporate flying throughout the years has led him to obtain type ratings in the Gulfstream G-V, Citation 650, Citation 500, Lear Jet series, and DC-3, along with experience in many other models. 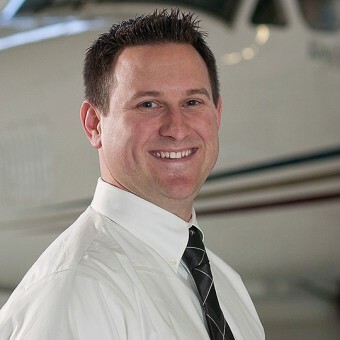 Dustin has been assisting others with aircraft management, sales, and acquisitions for over 10 years. His skill set is perfectly suited to help you achieve the best possible aviation experience. Although dedicated to his work, Dustin puts family first. He resides in Goodland KS, where aviation is a necessity. After a hard day of work, you will find him spending time flying with his wife and daughter in their Cessna 195. Rion has spent most of his 30 year career in the management and entrepreneurial facets of Building Materials manufacturing and distribution. Much of his experience has involved sales and negotiations on a large scale, which builds a tremendous value for our clients. Rion’s passion for aviation goes back to supporting Dustin’s professional aviation education. It now continues as an aspiring private pilot and aircraft owner with shared admiration for vintage aircraft. It has been a mutual desire to partner on this enterprise that Dustin started years ago. “I have seen the powerful synergy that occurs when aviators assist other aviators with multiple aspects of their business”. What is: 11 plus 4?